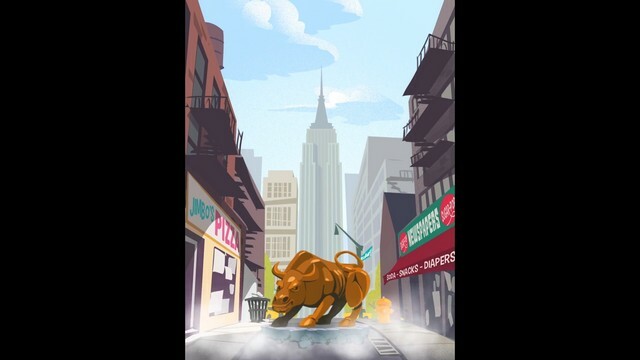 Candidate Crunch is a free to play mobile game developed by Urthworx for iOS and Android where players try to help their choice in candidate survive the campaign trail! 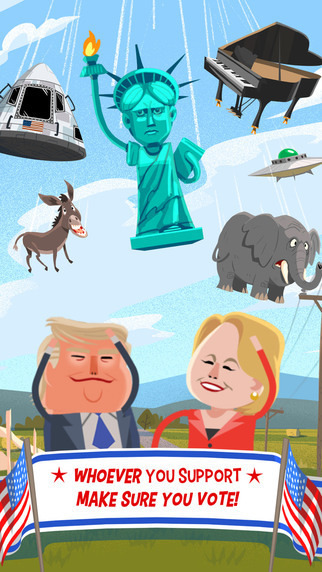 The road to the White House is riddled with dangerous objects falling from the sky, and only you can save your favorite candidates from them. 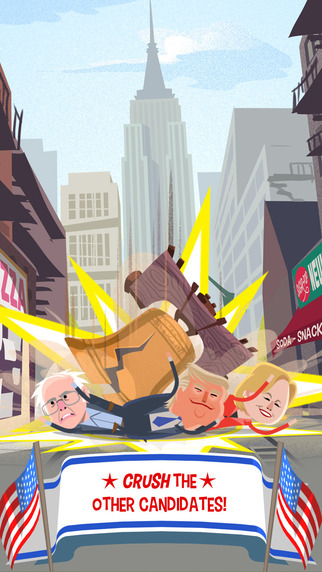 Who will make it in the end and not get utterly crushed by the competition and falling Liberty Bells? That's up to you! 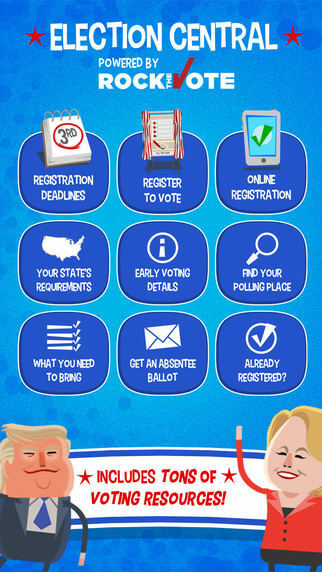 Election Central: Visit the Election Central portion of the app and find useful links to election information and how to vote. 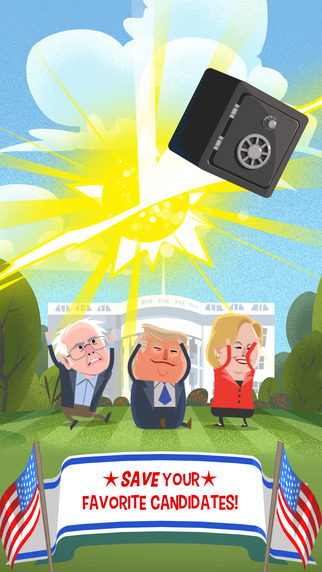 Unlockable Characters: Unlock entertaining, customized characters like Goth Hillary, SuperTrump, and Headbanger Bernie on your journey to The White House. 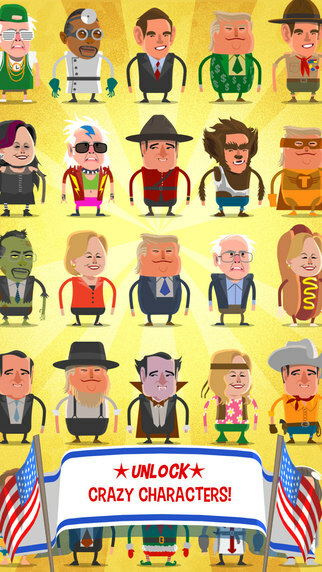 All Your Favorite Candidates: Not only will you be able to play as the candidates who are still in the race today like Hillary Clinton and Donald Trump, but you'll also be able to play as those who have dropped out like Ted Cruz, Marco Rubio, Ben Carson, Jeb Bush, John Kasich and more!